The February snow has started to fall and whilst Wolf was sleeping soundly on the couch, I stood at the window watching as the small snow flakes hit the ground and then disappear as quickly as they fell. 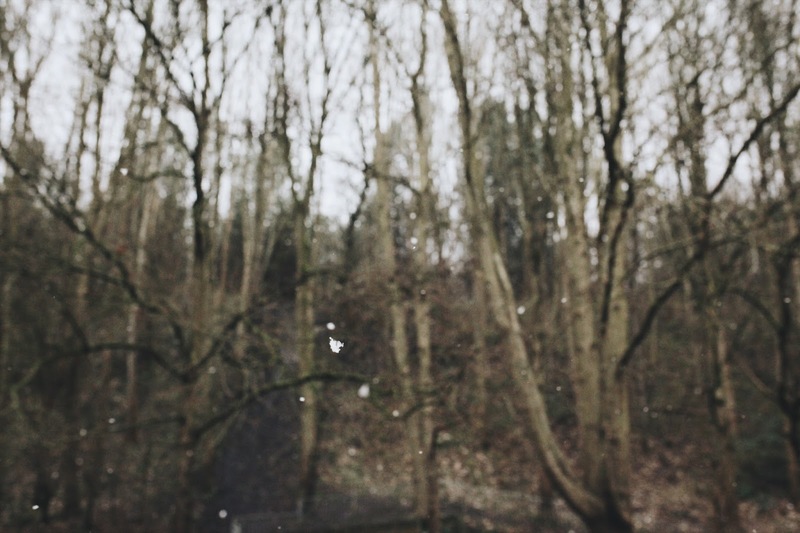 Lee came home and I dashed outside to take a blurry photo of the snow falling. No coat. Just the cold air hitting my cheeks as I snapped this photo.